Want a load of free games, exclusive discounts and access to online multiplayer on your PS4? 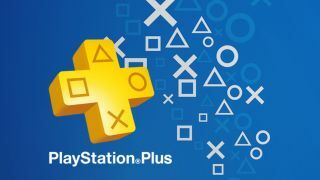 Then you'll not want to miss the big discounts available on these PlayStation Plus deals for 12-month subscriptions. PlayStation Plus memberships can be pricey if you pay full price or accidentally let the auto-renew settings pay for a year as soon as your current sub ends. We can do much better for you here at TechRadar Deals though. Today we've found the absolute cheapest PlayStation Plus prices for a 12-month membership. Better still, you don't have to wait for your current sub to end, you can stack this one on top straight away. With prices this low, there's no need to hang around for big events like Amazon Prime Day. Take a look at the links below, where we've called out the latest prices from CDKeys.com and Amazon who currently have the cheapest prices going in the UK and USA, massively undercutting the regular prices. The codes will be sent digitally to you within minutes of the purchase, so you don't have to sit around waiting for it in the post. Save an additional 3% at CDKeys via the promotional Facebook code. This would make it just £36.85. We compare PlayStation Plus prices and deals all year, so we know a great set of prices when we see them and we love these ones! If you also have an Xbox One console, we've rounded up the cheapest Xbox Live Gold deals for subscriptions too.